Cut down on your use of disposable plastic by switching to glass or paper straws. 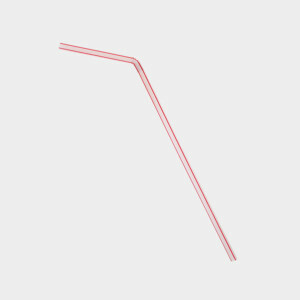 Find more eco-friendly straw options. If you want to get crafty, try making a set of stainless steel straws. Metal straws are safe and reusable, unlike paper or plastic straws. 500 million straws are used and discarded on a daily basis in the United States alone. The Last Plastic Straw is working to address this rapidly growing problem. They ask people to request drinks without straws when they go out, and for cities and businesses to ban the use of plastic drinking straws completely. The Walt Disney Company uses paper straws at some locations to protect their animals from ingesting any discarded plastic. Find out more.